Last week Facebook announced in a blog post that they would be updating Page like counts. While some Page Admins may be upset to hear this news, any page that notices a dip in overall Likes shouldn’t be too concerned. The reason some Pages will see a dip in Likes over the coming weeks is due to an update that changes the way Page likes are counted. Facebook will be removing memorialized and voluntarily deactivated accounts from your Pages’ like count. 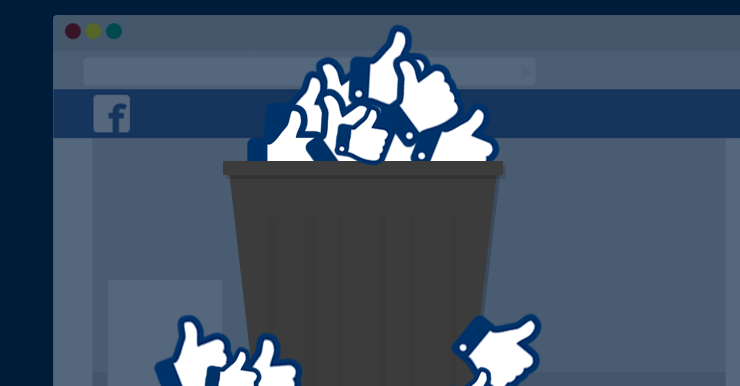 The company says, “Removing inactive Facebook accounts from Page audience data gives businesses up-to-date insights on the people who actively follow their Page and makes it easier for businesses to find people like their followers through tools like lookalike audiences.”. Now, we know you’re still upset that your Page’s like count has dropped, but keep in mind that this shouldn’t change your engagement. In fact, this could help your organic reach and make sure your content is only being shown to active users. Facebook mentions that if any deactivated accounts are reactivated, then the account will be definitely be re-added to your Page’s like count.